Admission: The manor is a private property. Various occasional parties (wedding receptions, conferences etc.) are organized in there, thus in general entry is impossible. Searching difficulty: The manor is located in the park and completely invisible from the road. Moreover, inhabitants cannot indicate its situation. 22 km east of Nowy Sącz there is a place Grybów, and 15 km north of it – a place Bobowa. Driving from Bobowa down the road no 981 to Grybów, in the village Wilczyska, right past the board with the name of the place, you Reed to turn right into the country road up to the woods leading through an iron gate. Driving down this country lane to the end you Reach the manor. Be careful! It is in vain to look for the place Jeżów. It looks as if such a place does not exist any more. 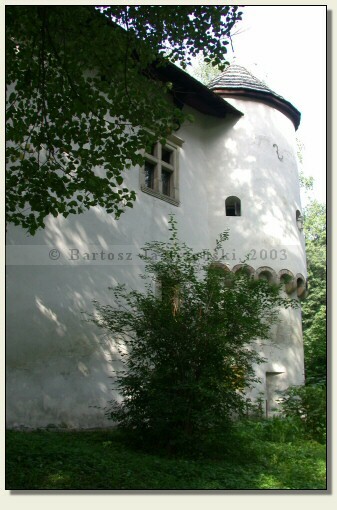 A defensive manor in Jeżów was raised at the end of the XVth cent. by Stanisław Jeżowski. 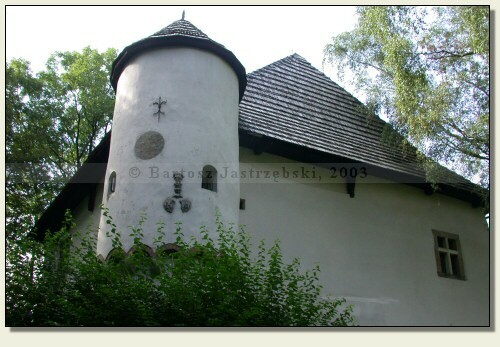 In 1483 the owner of the manor by way of exchange became Klemens Turski, who before 1525 erected a tower and gave a defensive nature to the manor. In 1525 the manor became Adam Strasz’s property, who started its thorough conversion, changing its defensive character and giving it attributes of a residential mansion. The conversion was ended up in 1544. In subsequent centuries Jeżów was changing its owners frequently. At the turn of the XVIIIth and the XIXth cent. its floor served as a granary. 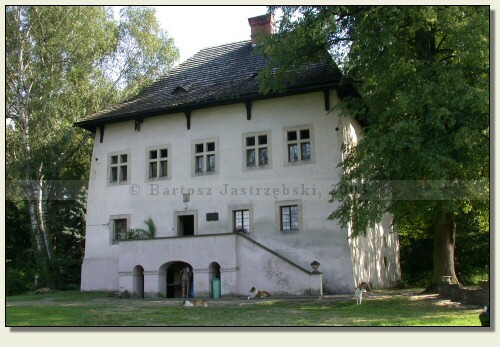 About 1900 Kaziemierz Ramułt, who refurbished the building, came into possession of the manor. After World War II the manor was desterted and began falling into decay. It was redecorated not earlier than in the 60s of the XXth cent.